Ticket sales cover less than 50% of our operating costs. We need your help to continue creating world-class performances that nourish the spirit and fire the imagination. 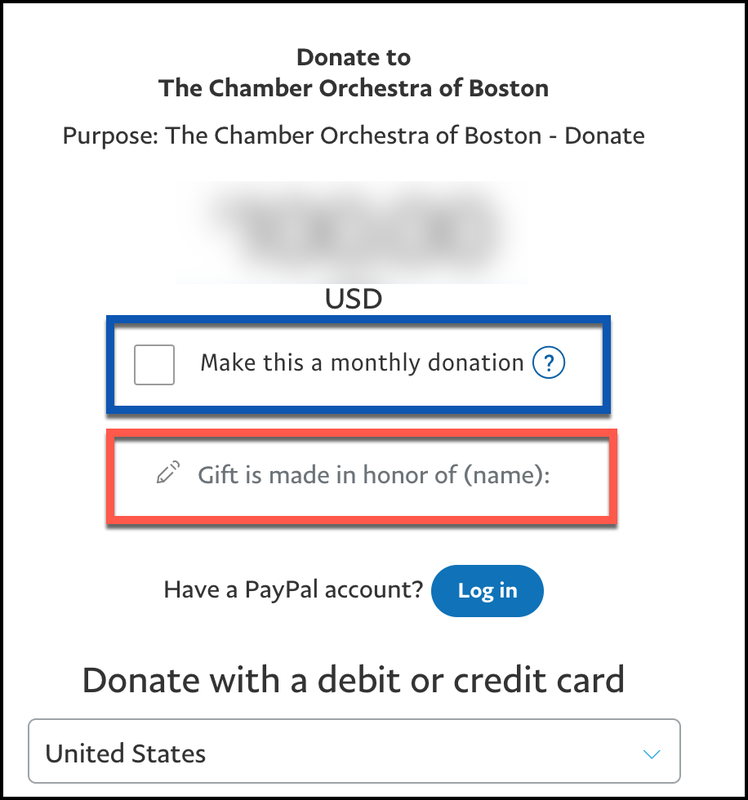 The Chamber Orchestra of Boston is a 501(c)3 nonprofit organization and your gifts are fully tax-deductible to the extent allowable by law. We use PayPal for secure processing of your credit card donation. You can use any major credit card or a PayPal account. Is your gift in honor of someone else? Please click “gift is made of honor of” enter their name on the donation form. We will gladly print the name of the person you are honoring in our program as a supporter. Increase the power of your support by making a regular monthly donation to support our work. Check “Make this a monthly donation” to have your gift automatically charged each month to your credit card, debit card, or PayPal account. Call us at 617-266-1626 or email info@chamberorchestraofboston.org with any questions about your gift.